Effective January 1, 2009, Georgia law changed with respect to UM coverage in a way that I believe was beneficial to Georgia drivers. Under the new law, Georgia drivers have three options for UM coverage: (1) “added-on” or “stacking” UM coverage; (2) “reduced by” or “non-stacking” UM coverage; or (3) no UM coverage at all. Under the first option, if you are the victim of a wreck involving a driver whose liability limits are not sufficient to cover your damages, then your UM limits should “add-on” or “stack” on top of the at-fault driver’s liability limits. For example, if your damages (i.e. medical bills, lost wages, pain and suffering, etc.) are $75,000, and the at-fault driver only has $50,000, then if you had $25,000 in UM coverage, the total amount of coverage available to cover your damages would be $75,000 ($50,000 + $25,000 = $75,000). Under the second option, if you had “reduced by” or “non-stacking” UM coverage, then under the same scenario above, your UM coverage would be reduced by the $50,000 of liability coverage, meaning that your UM carrier would probably not have to pay any money. In other words, your UM policy would not provide benefits because the limits under your UM policy were not greater than the at-fault party’s liability limits. Finally, under the third option, you of course would be stuck with the $50,000 in liability limits because you rejected any UM coverage (not a good option!). For more information about how the different UM insurance options operate, I recommend this article by the Georgia Office of Insurance and Safety Fire Commissioner. So, now that you understand the basics of UM/UIM coverage in Georgia, here are 3 reasons why you need to make absolutely sure you have this coverage on your car insurance policy. 1. 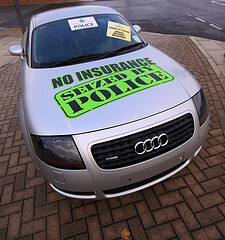 A Tough Economy Means More Uninsured/Underinsured drivers – This is the harsh reality of tough economic conditions. 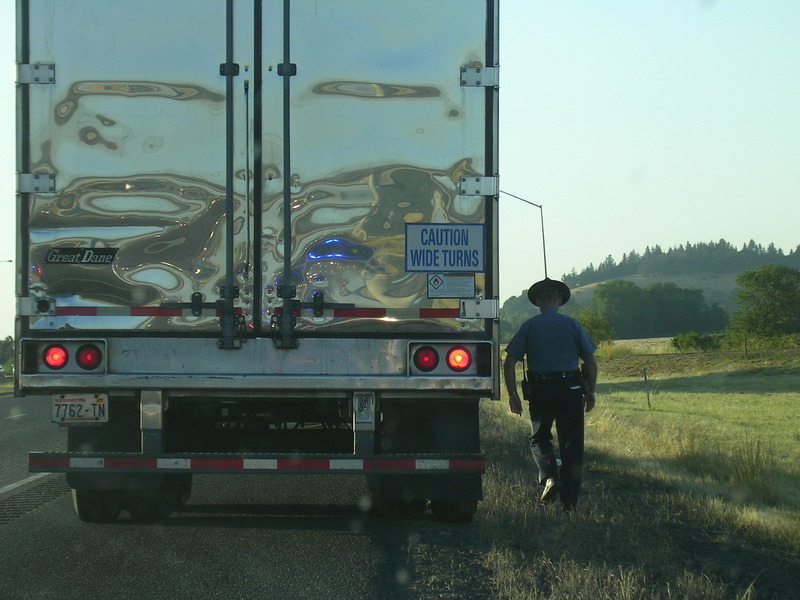 Although it is illegal to drive without liability insurance coverage, this does not prevent drivers from allowing insurance coverage to lapse because of failure to pay premiums. A recent study by the Insurance Research Council suggests that roughly one in seven drivers in the United States is uninsured. 2. Health Care Costs are Continually Rising – As health care costs continually rise, so does the amount of insurance required to cover those costs. The minimum liability limit of $25,000 (in Georgia) is often insufficient to adequately cover medical bills, lost wages, and pain and suffering damages. Therefore, it is important that you have “stacking” UM coverage to provide adequate coverage. 3. Hit-and-Run Drivers Just Don’t Care – Sometimes people cause wrecks and they don’t care to hang around to deal with the damage that they have caused. It can be difficult to locate these drivers after a wreck has occurred, leaving the victim of the wreck in an unfortunate situation. However, UM coverage can provide insurance coverage in these situations to ensure that a bad situation is not made worse because of a hit-and-run driver. The lesson to be learned? Make sure you not only have adequate liability coverage under your car insurance policy, but also adequate UM coverage. Also, if you have been injured in a wreck, you need to check your insurance policy to determine specifically what UM benefits may be available to you through your insurance company. You should also consult a personal injury attorney to help you understand the steps you need to take to ensure your injuries are adequately covered. Occasionally, someone who has been injured in a car wreck or in some other manner because of a third-party’s negligence will ask me whether they “need” an attorney to resolve their legal claims for personal injury. My general response is that whether they decide to hire an attorney is eventually their decision, but that there are several risks and disadvantages they should be aware of if they decide not to hire a personal injury attorney. In my opinion, the risks and disadvantages of not having a personal injury attorney represent you substantially outweigh whatever perceived benefit the individual has of “going it alone” with the insurance company. I just recently reviewed an interesting article from Consumer Reports® magazine that also suggests a “do-it-yourself” approach to other legal matters is no substitute for having the benefit of a professional attorney. It has often been repeated among lawyers and judges that “he who is his own lawyer has a fool for a client.” This can be difficult advice for many people who are determined, independent, and self-motivated – I am precisely that kind of person. Nevertheless, I know that there are certain areas of expertise in which my legal skills and knowledge will fall short of what is required to obtain the best results. In many situations, proceeding ahead without the proper skills and knowledge can have serious negative consequences. For example, I fully understand that when it comes to issues of health and medicine, I need to consult a competent and skilled doctor, and that if I fail to do so, there may be serious negative consequences. Likewise, when it comes to issues of personal injury law (or any other area of law for that matter), one should consult and hire a competent and skilled personal injury attorney; otherwise, there may be serious negative consequences. If you have been injured because of someone’s negligent conduct and would like to schedule a free consultation with a Waycross personal injury attorney to discuss your legal rights, please call us at (912) 449-3000 or contact us using the form on our website.